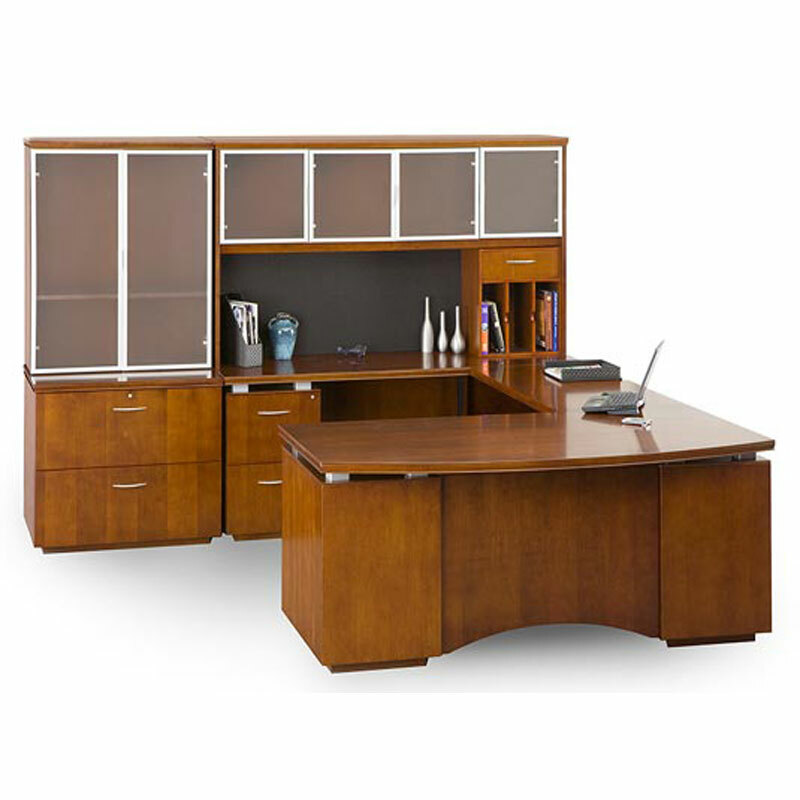 Your office makes a statement and this desk says it all. This executive u-shaped desk with frosted glass doors on the credenza and hutch offer a fresh look. 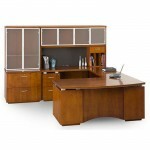 Also shown is 2 drawer lateral file with 2 door storage on top and a mini storage unit with drawer and dividers. Shown in Luna Cherry but also available in Mocha Cherry.